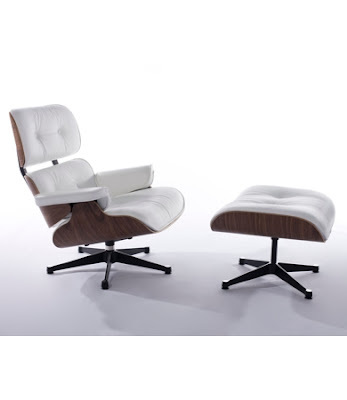 One of the big items that I want for our new nursery (which by the way has not made much progress since my last post about it) is a Rocking/ Gliding chair. I know some people love the ones that they find in the regular baby shop. For me, it is just not really the style that I am going for. To be completely honest I don't really want a nursery chair that looks like it belongs in my Nanna's house in front of the TV. I am trying to locate, discover, uncover a great rocking chair, that is an affordable price, durable and is most of all Comfortable, seeing we will be spending a number of hours in it over the next few years. I have been scouring ebay and gumtree for old vintage recliner/rockers that I can reupholster, but for right now there hasn't been anything that has met my fancy. My preference would be something with fabric padded arms, but I guess a couple of giant cushions could also help sort that problem out. These are some of my top picks from scouring the world wide web. It seems though that Australia's options for nursery rockers are far less than that of America and even Europe and that makes me sad. Why are we so far behind in this Aus? This chair is gorgeous. It is the Mo-Ma Glider by Olli Ella. They are new to Australia, and as a bonus they also make them here in Australia now too. Now, these are a little pricier, you can buy them on Olli Ella's website olliella.com.au for $1699, but that does include delivery. They also come in a choice of 5 different colours. They do state on their website that this chair will "last for generations" so if it a stylish, good quality, long lasting glider you want. I know I am tempted. They have a few more gliders that are yet to make it to Aus, they look fab too! This is a Replica Eames style rocking chair from clickonfurniture.com.au , I love the look of it. I think that it is cute and stylish, and comes as a pretty good price $295 for their fibreglass one, or $129 for the plastic. I am just a bit worried it wont be that comfortable, although I have seen many nurseries decorated that include on of these style rockers. I guess it would be a try it and see. This one at clickon also struck my fancy, even though it is not traditionally a rocker. But I think that it is pretty great. This one is on Sale at the moment for $999 including ottoman. Of course Ikea has to feature! They have this Poang rocker, that also comes with a footstool. Although the footstool doesn't rock like some. They have lots of fabric choices, you know they are pretty easy to come by, and they range from $199-$359 depending on the fabric you choose to go with. Because of the price and versatility this one definitely ranks high in my books. We used to have a Poang chair by Ikea, and it lasted us a while and I remember them being pretty comfortable. Even though I haven't found out if you can get this rocker in Australia yet, I needed to feature it because I LOVE it. It is the Jens Risom Rocker, picture found at www.dwr.com. It is also around $2000 USD, so I can only imagine how much more it would be here in Australia. Obviously I have got some decisions to make, and some more searching to do. Searching for money in the bank account maybe!! I hope that if you are looking for a rocker too, that this is helpful. Happy nursery hunting! 1 comment on "On the hunt for Nursery Rocking Chair/ Glider"